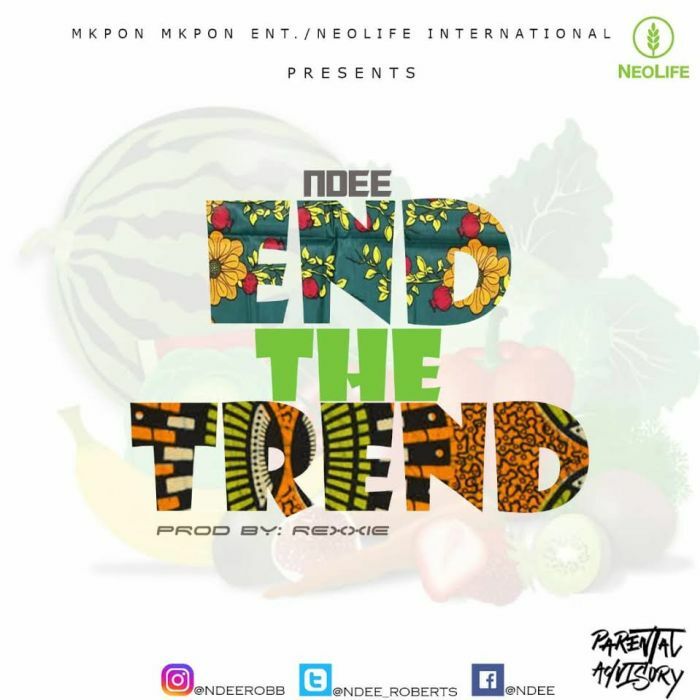 Nigeria’s Afro pop artist Ndee has hit the studio once again and this time he’s here with this magical sound and conscious song titled, End The Trend. The artist who is under the wings of Mkpon Mkpon Entertainment got inspired by Neo Life International philosophy and he decided to come up with this beautiful piece. According to him, he believes Neo Life who has been in existence for over 60 years now and still waxing strong is on a mission to make the world a healthier and a happier place by ending the trend to Poor Nutrition, Chronic Disease and Poverty. Support the cause, enjoy good Music and stay healthy.